It’s World Prematurity Day on Sunday and a lot of us are getting very excited! This year the theme is #GiveAHug. We can all give hugs and write about them. If you would like to join in blogging for World Prematurity Day all you have to do is write a post about hugs! We would love to put this link to Bliss in your posts, and on that page you can read more about how you can get involved with social media on World Prematurity Day. – See more here. I’ve always been a hugger and a cuddler. I don’t actually like being touched by people; but show me a friend in need of a hug and I’m straight in there. I used to give the best cuddles, but my gorgeous son Splodge has stolen my crown. He gets right in there; arms squeezing you tight, head buried in your neck, that boy hugs for minutes, not seconds. He even has his own name for them, they are duggles. We no longer cuddle in our house, we duggle. It’s a bit of a weird thing to look back on but there have been cuddles, sorry duggles, at key times in my life that have been game changers. The hug Hodge and I shared when he wrote his car off. Silly him was worried about his car, I just clung to him because he’d been in a nasty car accident and walked away unscathed. A small brush with mortality that made me appreciate him more. The hug we shared just after I peed on a stick and a coloured line appeared. That was a hug of joy, but mainly terror, massive amounts of terror. The hug we shared when we were told that we’d need further tests on our unborn baby to see if it would live or die. He lived and thrived and has just turned three; but we had a tough time and a fight on our hands to get him here. 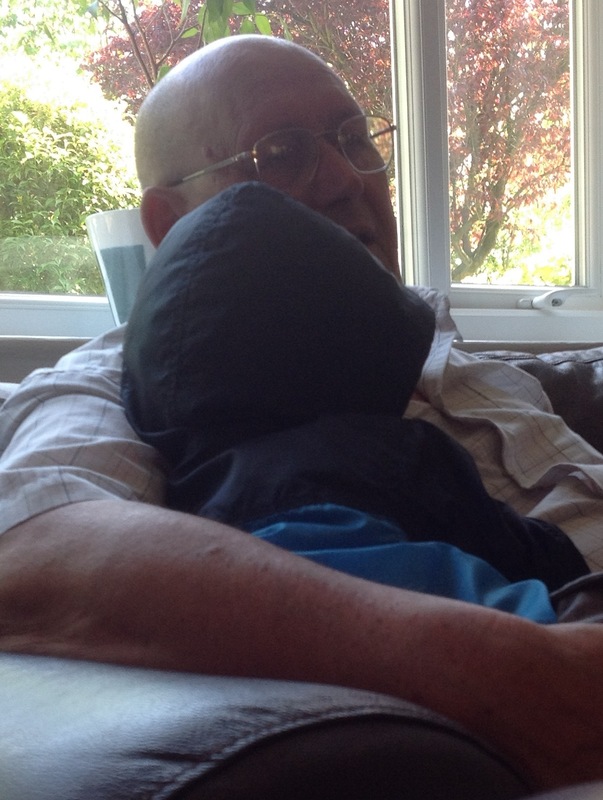 The hug I shared with my brother when we realised our very much loved Nan was dying. He’s very controlled with his emotions so it was a rare thing for him to show his vulnerability. Every hug with my son is special and beautiful. Even the ones where he turns and coughs in my face; or wipes his nose on my shoulder. Boy, that kid can cuddle, sorry, duggle, and he’s not shy about giving them either. So if you’re feeling low and need a duggle give us a call, but be prepared to leave with a snotty shoulder and a smile on your face. Congrats, you’ve just had the hug of your life! This entry was posted in Children and tagged Bliss, cuddle, Hug, World Prematurity Day. Bookmark the permalink.